The Bureaucrat is a brilliant political satire by Rahul da Cunha. Ro and I got a chance to see the play a few days ago. It was organized by Al Mulla and took place at the American International School. This is the second play I got to see after “Class of 84″ a few months ago. You can read a full review of the play at the Mumbai Theatre Guide. The play was great. 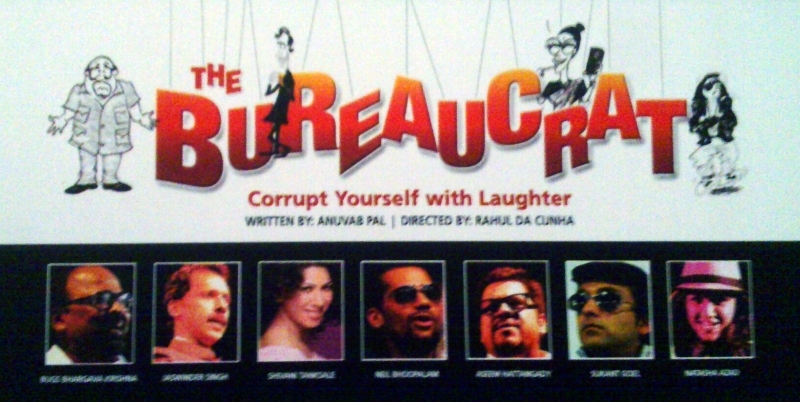 My favorite role was the Home Minister’s secretary, who was really hilarious. Her accent and dumb/innocent actions and replies kept me laughing. 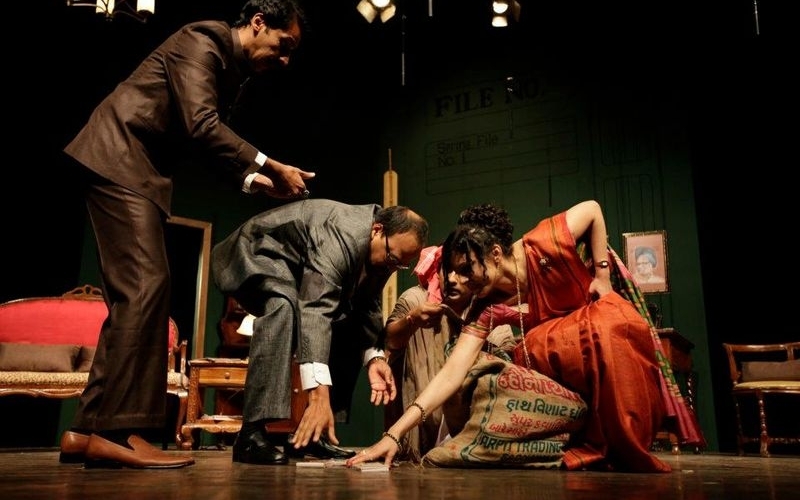 Besides her, DJ Dishoom and his “Kapde Utaro” (take off your clothes) campaign for the French PM, the Home Minister and his corrupt dealings and of course Dr. Gupta played as himself in the present day and himself when he was younger. I highly recommend this play and hope we’ll get some more showing in Kuwait soon!